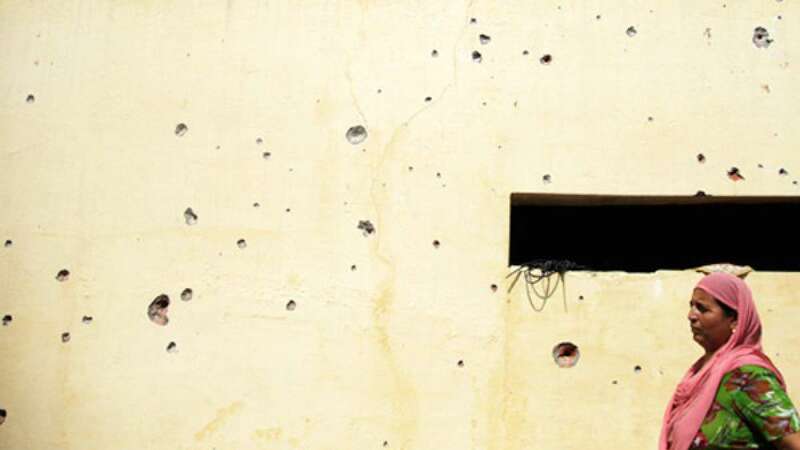 New Delhi : Six civilians were injured on Wednesday, after Pakistani troops shelled Bops and hamlets with mortar bombs and fired heavily late night along the Line of Control in RS Pura sector of Jammu and Kashmir along the International Border. However the Border Security Force troops guarding the LoC retaliated to the Pakistani firing. According to official reports, there was heavy firing and mortar shelling along IB in RS Pura and Arnia sectors of Jammu district overnight and continued till Thursday morning. It may be mentioned here that in the shelling, six civilians were injured in Khopra Basti belt of RS Pura and the injured were taken to a hospital for treatment immediately. It may be recalled here that an officer of the Border Security Force (BSF) was injured on Wednesday when a shell fired by Pakistani Rangers exploded near him. And around 16 people mostly women were injured in the cross border firing in the RS Pura sector in past two days.